The Speech by Federal Reserve Chief Ben Bernanke boosted market sentiments in equities and major commodity markets last week with base metals, energy and precious metals gaining as a result. Gold continues to be supported by safe-haven demand and is with in close range of its all time high recorded in June. Indian Commodity Exchange (ICEX) plans to start trading a gold coins futures contract to cater traders in smaller cities in association with the Bombay Bullion Association in the next two months, the head of the bourse and trade body officials said on Friday. "We are in the process of creating a platform for major refiners on which they can offer their products. We expect more Indian refiners to participate in the delivery process," Sanjay Chandel, CEO of ICEX, told Reuters on the sidelines of a gold conference. Robusta coffee, down 12 percent this month in London trading, may fall a further 5 percent to $1,515 a metric ton, according to technical analysis by Sucden Financial using Fibonacci levels. The London coffee futures have fallen 50 percent may target near $1,515,according to Brenda Sullivan, head of research at the brokerage firm in London. Food inflation fell for the second straight week to 10.05 per cent in the week ended August 14, lower than the 10.35 per cent year-on-year increase recorded in the week ended August 7. Gold prices continue to be bullish on weak economic data and benefited from fears of double dip recession looming ahead as durable goods orders and home sales data suggested faltering US economic recovery. 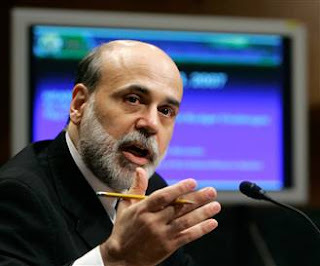 US Gold prices hit a high of $1244 on Thursday but subsequently declined on Friday on positive sentiments created by Ben Bernanke’s speech. Gold Futures December moved to $1237. The yellow metal has recovered in a short time after hitting a low of $1160 on June 18 and is on track to gain 5% this month. Gold is moving closer to its all-time high, while silver prices saw their all-time high in the Indian market on Thursday. In Mumbai, silver prices went up by Rs 500 to close at Rs 30,760 per kg. Internationally, silver was trading at $19.10 an ounce. Its highest price was seen on May 3, 2008, at $20.815. In India, the biggest gold user, demand almost doubled in the first-half on increased jewelry purchases and investments, the council said Aug. 25. Imports by the country this year may equal 2009’s level as early as this month because of “robust” demand, according to GFMS. Purchases in the first half were 348 tons, compared with 559 tons in 2009, according to council’s data. Bullion demand increased 36 percent in the second quarter as investors boosted purchases of gold-backed funds and pushed up prices to a record during Europe’s sovereign-debt crisis, the World Gold Council said onAugust 25. Investors bought 291.3 metric tons of the metal in exchange-traded funds, or ETFS, the second- highest quarter on record, the producer-funded group said. The ratio of gold to silver -- how many ounces of silver are needed to buy an ounce of gold -- slipped to its lowest since early August at about 65 as the white metal became increasingly expensive compared to gold. Going ahead gold is likely to track equities and global recovery concerns for cues even as emerging market demand continues to be strong. US Gold spot has support at $1220 levels while December Futures has support at $1225 levels.MCX October Gold has risen to 18894 in a bullish trend. Crude oil has climbed from recent weakness on improved US economic outlook and positive sentiments created by Ben Bernanke’s speech. October contract at Nymex rose to $75.17 rising for the third day last week on Friday while rising equities provided firm support. Sources also pointed to short covering ahead of the weekend with three tropical systems churning in the Atlantic Ocean also helping lift crude oil futures that had dropped to an 11-week low under $71 a barrel intraday on Wednesday. U.S. crude for October traded as low as $72.04 and reached a $75.54 peak in post-settlement trading on Friday.Volume was heavy, with more than 900,000 lots traded with an hour left in post-settlement trading, up sharply from Thursday's 784,091 lots traded and well above the 30-day average of 585,267. Decline in new US weekly claims for jobless benefits and weak dollar supported the energy complex. Front-month crude prices finished $1.71, or 2.33 percent, higher for the week, breaking a string of two straight down weeks. The oil market was consolidating a recovery from Wednesday's $70.76 intraday low, which was weakest front-month price since the $70.75 low struck on June 8. Oil markets were eyeing a string of tempests in the Atlantic, putting some storm premium into the market, sources said, though on Friday the storms were not expected to threaten to the energy infrastructure in the Gulf of Mexico. MCX September crude rose to 3551 while Nymex October corntract has support at $72 levels. Base metals led by Copper rallied last week on gains in Wall Street and positive sentiments generated by Fed Reserve Chief Ben Bernanke. LME Copper rose to $7459 levels on strong equities and lesser than expected drop in US GDP growth forecast for Q2 at 1.6% from 2.4% previously. LME Copper ware house stocks have fallen 25% since Mide February with LME aluminium stocks also falling. LME Zinc rose to $2102.50, tin hits high of $21750 as against $20350 on Thursday on tighter Indonesian supplies. LME Copper prices were ruling at $7200 levels in the beginning of the week. Copper was supported by speculation that demand gains in China is set to continue.